Everybody I talk to is ready to leave 2011, there is a vast of explanations as to the why and justifications for closing the chapter on this past year. So this informal survey got me thinking about 2011 as I prepare to ring in the New Year. 2011 was a year of shifting, changes, adjustments, relationship changes, searching, validation, sorrow, tears, laughter, relocation just to name a few of the topics that resonates with so many, including myself. Then some expressed fear or concern about 2012 being worse than 2011 from a business, financial or personal perspective. Always have loved this quote, as it is so true!!! So I changed the way I personally looked at 2011 and here is what I found, perhaps this could be true for you as well. Thank you 2011!!! Yes, Thank You! For what, you may ask! Rearranging my foundation for the upcoming years to come! When I think of stability I think of 4, a table has four legs, a desk as four legs, a chair has four legs, a bed has four legs….. 4 is the number that the year 2011 totals. My changes was to look at 2011 as rearranging my foundation and perhaps repairing or changing out one of the 4 supports. My foundation has been rearranged to look at this past year with appreciation and gratitude to remind me of what is truly important, to clear out the clutter, to focus my thinking and direction of what brings Joy. Learned various methods and venues for which to serve others, accomplish my goals and happiness and joy returned to my life. Remember, when we are happy so are all the people around us and we attract more of what we are, what we think. The next few hours I will be giving appreciation and thanks for all things in 2011. I look forward to 2012 with excitement, hope, joy, love and anticipation of all new opportunities, new adventures and a Life filled with Fun and a new foundation with a Zest for Life! Time for me now to wish for each of you in ’12 inspiration and strength for the upcoming year filled with all that you desire. Remember to Dream (Yes, you can never too old), Believe (I believe in you), Achieve (Yes, you can do it!!)! 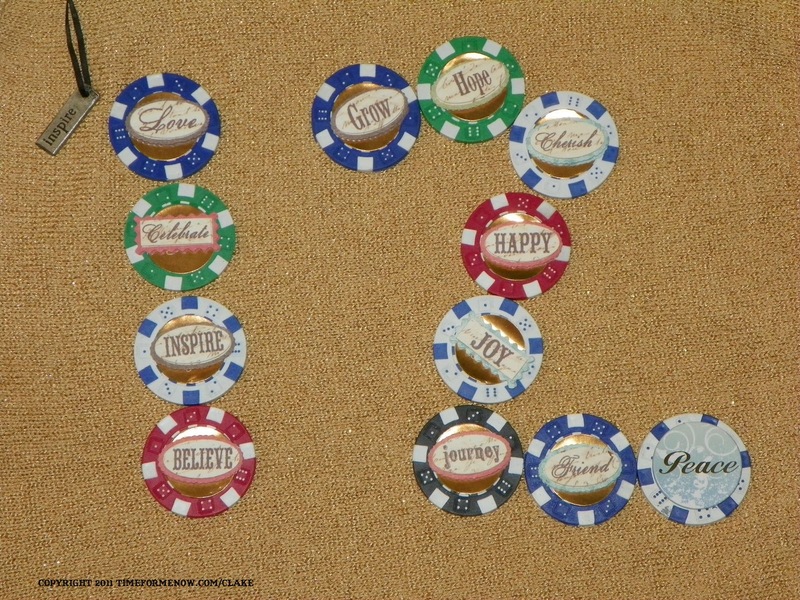 I created the daily inspirational chips* for clients and a daily draw of inspiration for clients; I created an inspirational photo for all of you as to my wish for you to ring in the New Year! Hope you enjoy it. 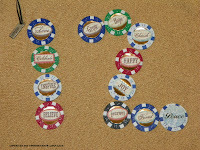 First “draw of the chip” Love – wishing you a year full of Love for yourself! Love YOU- who you are and where you are as you have the ability to always rearrange your foundation! Thanks to all of you for making www.timeformenow.com a creative portal for inspirational messages, connection to tools and services that inspire and support living the life YOU want to live! I so appreciate each of you and am humbled for your support, comments and confidence. "Thank you"